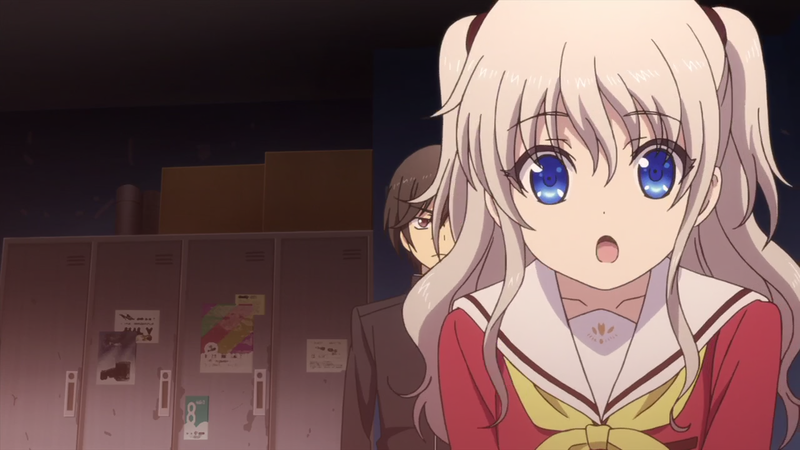 Charlotte – 03 | Mezashite! They introduce Ms. Westwood/Blackwing this episode, so clearly, the release picture should be best girl. Apparently there’s a sweet yuzu variety in Japan called the yuku, so our typo in Sakura Trick episode 1 just got slightly less embarrassing. Also, sometimes I wish it were custom to translate proper nouns. It was historically done in Europe (Charlemagne/Karl der Groß, Christopher Columbus/Cristoforo Colombo, Marcus Antonius/Marc Antony, etc. ), and is still done among East Asian countries (e.g. Sadaharu Oh is known as Wang Chen-Chih in Mandarin-speaking places). It would make meaningful names in anime easier to do. If only all anime had names as easy to make sound nice in English as Aikatsu.